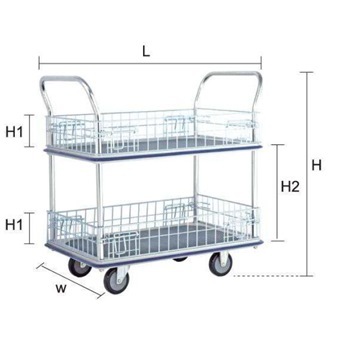 JUMBO 2TIER DOUBLE HANDLE MESH TROLLEY L820*W480*H1010 220KG HL120M is rated 4.6 out of 5 by 5. Rated 4 out of 5 by buyer from Jumbo Trolley Jumbo Trolley received in good condition, prompt and pleasant transaction! Rated 5 out of 5 by PeterM from Solid trolley, as described, thanks! 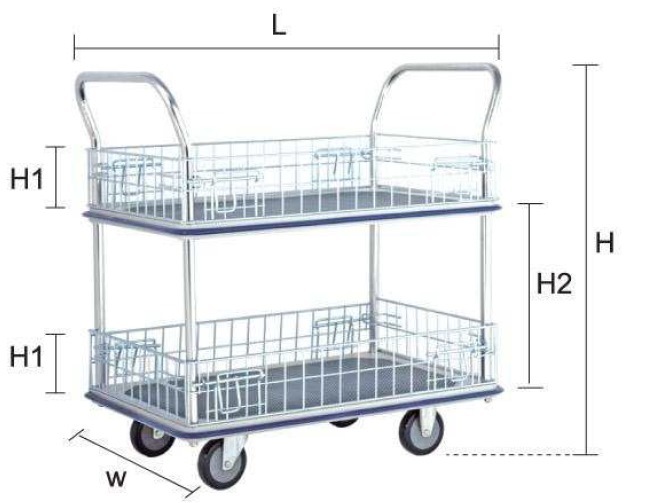 This is a solid trolley and is designed to take day-to-day abuse. I can't fault it based on quality of construction and definitely not at the price I paid. Rated 5 out of 5 by Rony31 from Great items, strong and compact I bought this items and I couldn't be happier. The delivery was fast and no hassle, Item condition as advertised.